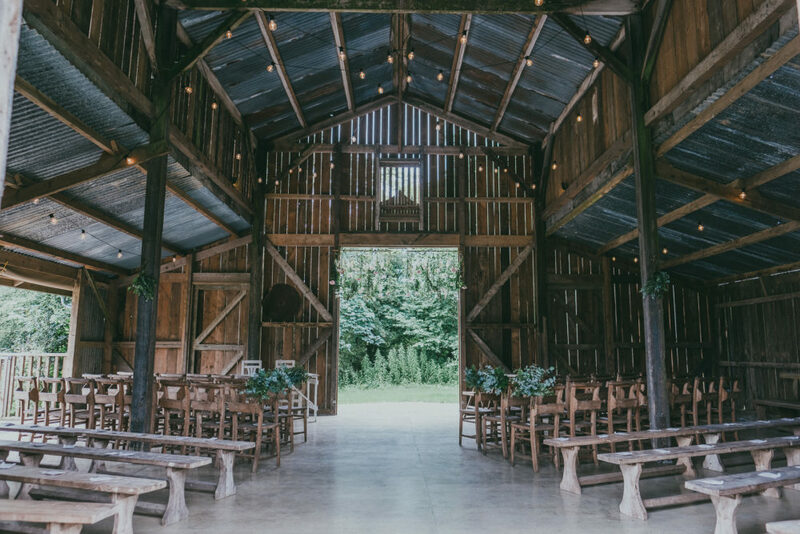 Barn wedding venues are the hidden gems of the wedding venue world. Sometimes proudly placed on Google, sometimes tucked away where only those in the know can find them. 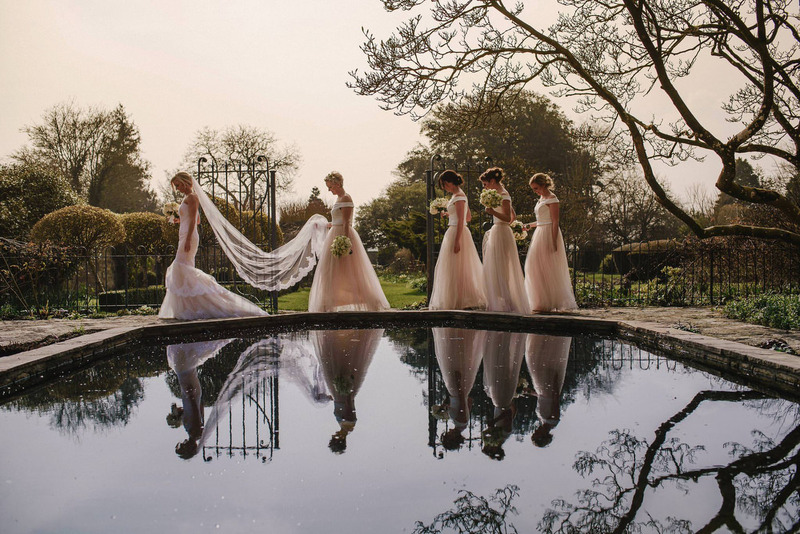 And there are some STUNNING barn wedding venues in the UK. 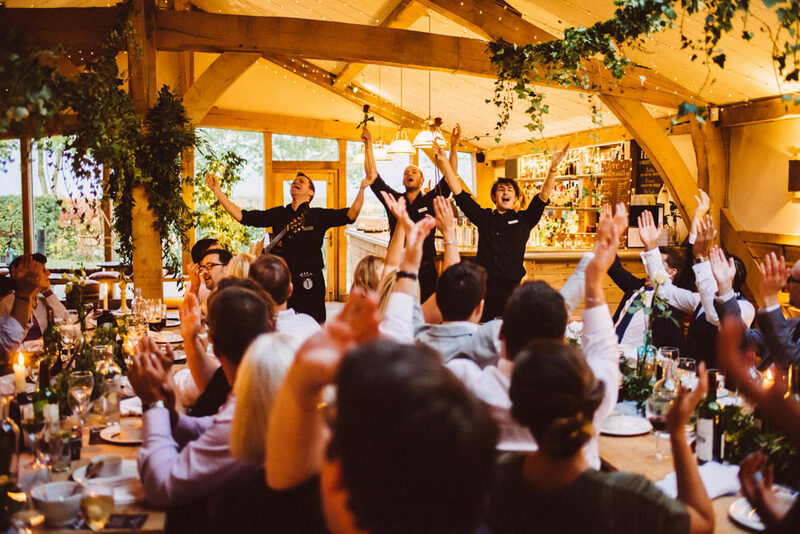 Being the venue geeks that we are, we have done all the leg work for you and have listed over 30 of the most magical barn wedding venues in the land via The List (our carefully curated wedding directory). 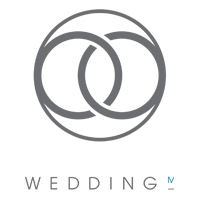 Best of all, with most listings featuring imagery from our real weddings, you will get a true feel for the venue as a wedding space before narrowing down. That’s not all, to make it even easier you can also filter by location, capacity and facilities. Our gorgeous bride and groom Nicola and Matt are already used to being centre stage as during the day they perform at London West End musicals Aladdin and Chicago. Both absolutely radiate in front of the camera and are shining stars amongst their rustic greenery wedding at Cripps Barn in the Cotswolds. 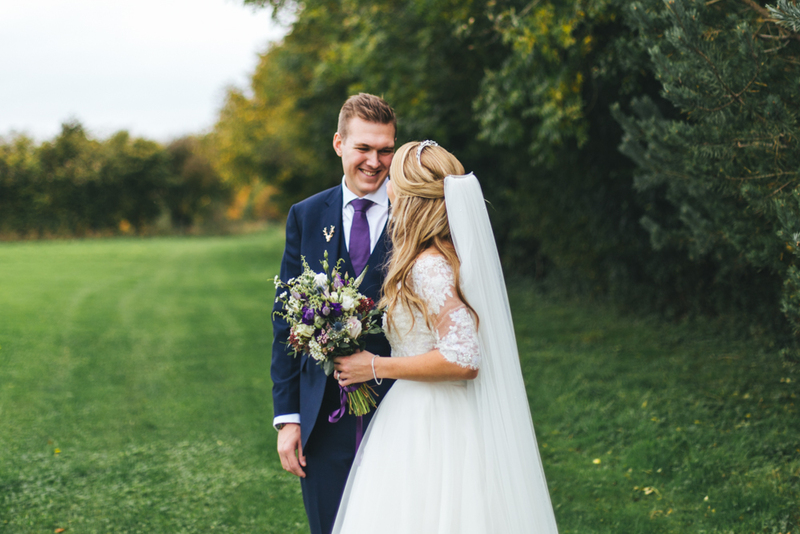 Nicola’s tulle Berta Muse bridal is fit for a princess and Matt looks the perfect prince in a Navy suit and tweed waistcoat. Everything is serious fairytale ‘happily ever after’ vibes. You’re going to love it! It’s time to snuggle around the fire for this beautiful Winter wedding at Cripps Barn Cotswolds wedding venue. Beautifully filled with candlelight, foliage and a little sprinkling of snow. Dare I say it, it’s making us feel a little festive! Adding to the decor and ambience are the fabulous Wonderland Invites in house wedding stationery designs, plus hundreds of twinkly fairy lights. Bringing the heat is Allison and Huw in their stylish wedding attire. Allison looks exquisite in a beaded lace Annsual Y Violet gown, and Huw looks oh so dapper in Suit Supply and a double breast waistcoat. 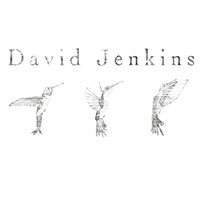 Together they have made Alexandra Jane Photography‘s job at capturing all the love a dream. Are you ready to have your socks knocked off…? Thought so. 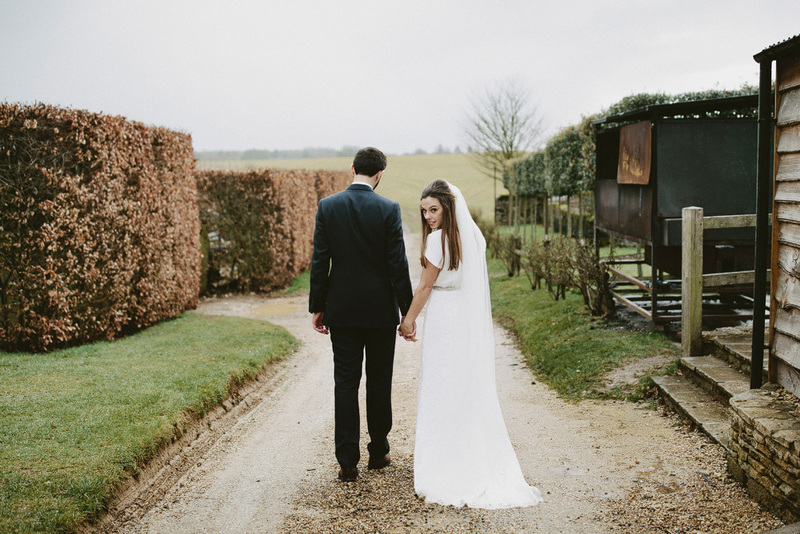 The gorgeous Sung Blue Photography has married her beau in the prettiest wedding at Cripps Barn in the Cotswolds. There was lots of greenery, pastel flowers, and stylish geometric and metallic details, all beautifully curated by The White Emporium. 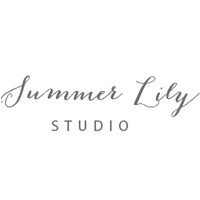 Capturing all this dreaminess was best friend Summer Lily Studio whose wedding we also featured, and the lovely Roost Film Co.. 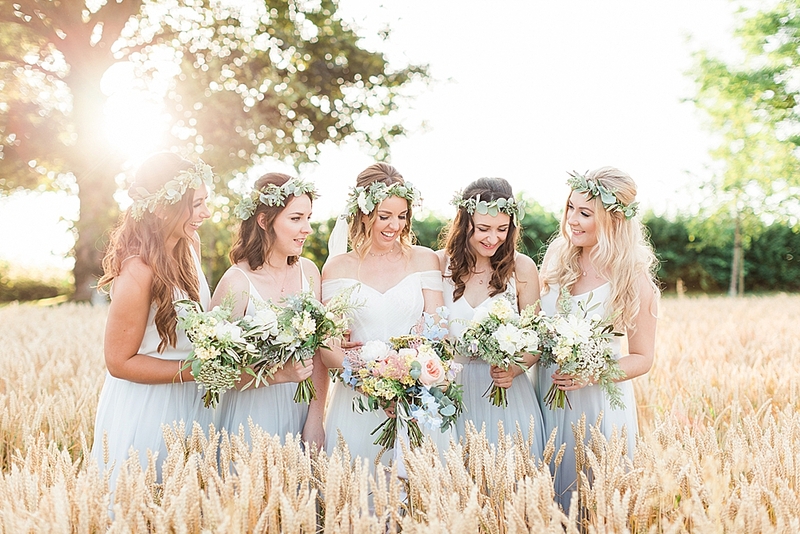 Both have a dreamy style that will instantly transport you to this wedding wonderland. Bride Lauren looks an absolute vision in her bardot, lace and tulle Wtoo by Watters gown, as do her bridesmaids in grey skirts & white cami separates, and together with their pastel bouquets is reminding me Spring is just around the corner. Ohhh beautiful Cripps Barn, I don’t think I’ll ever tire of seeing weddings from there, which is truly testament to what an incredible venue it is. 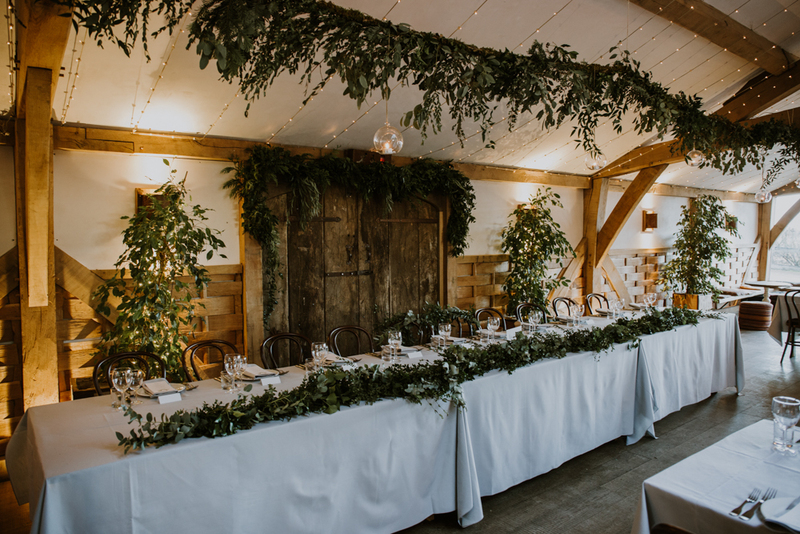 Cheryl and Jak filled the spaces there with gorgeous floral arrangements, quirky skiing details and lots and lots of twinkly fairy lights. And those ski details? 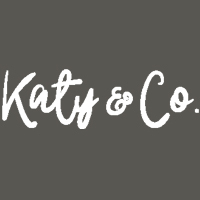 Make sure you read these cuties engagement story as that will explain it all 🙂 Thanks to lovely Katy at Katy & Co. for the gorgeous images! This Cripps Barn wedding is just one of those beautifully curated days that consume you with happiness and pretty, and leave you totally satisfied. Have you seen the ceremony and reception set ups? Seriously just WOW! The delicate pastel colour scheme is incredibly romantic, echoed in the floral arrangements and bridesmaid dresses, with the mirror table plan and drip wedding cake complimenting the rustic setting, but adding a touch of luxe. I’m certain that White Stag Wedding Photography‘s light filled captures will have you reaching for your pin button, so sit back, relax and enjoy every minute. 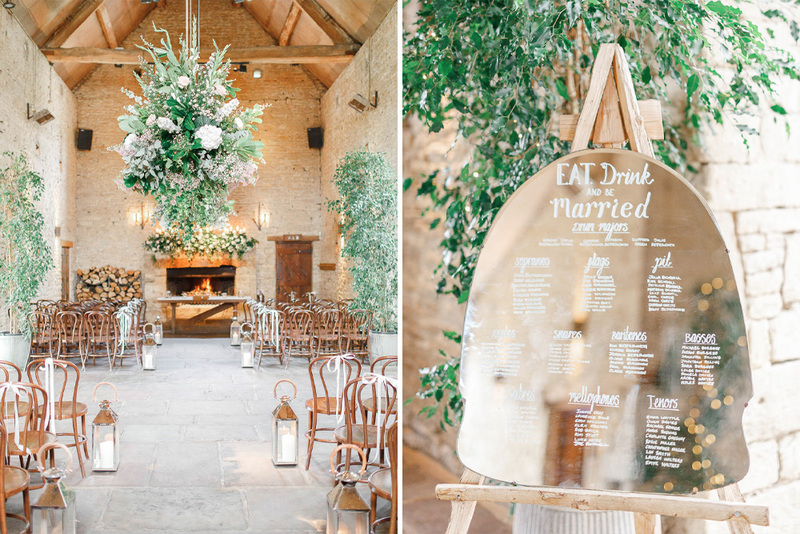 Show-stopping, sassy and stylish, Sophie, Luke and their gorgeous, gorgeous wedding at Cripps Barn in the Cotswolds just oozed class and character. 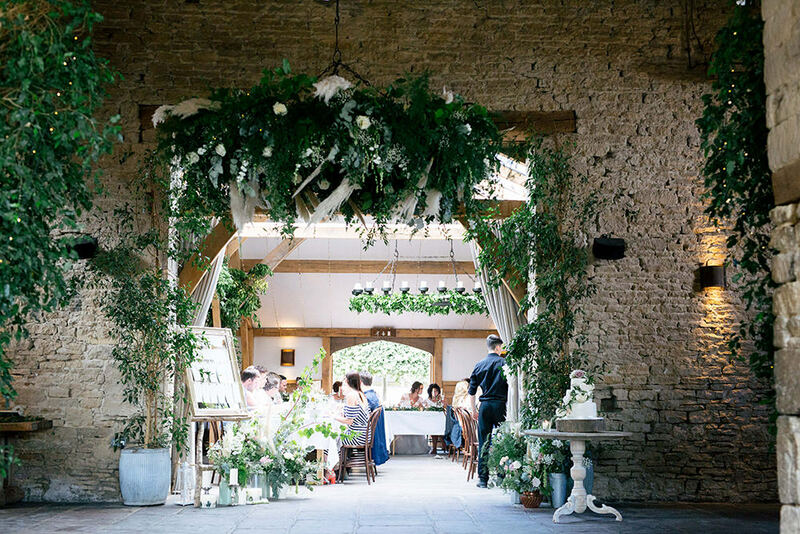 All the wedding prep began at Barnsley House before heading over to the dreamy Cripps Barn which was dressed head to toe in stunning florals by Joanna Carter Flowers, and amazing rustic details. Have you seen the wooden crate dessert table yet? Definitely get your pinning fingers ready, not forgetting the hanging flower wheel, and reception decor with Candelabra centrepieces and fairy light backdrop, because you’re going to LOVE them too! The evening culminated in an epic party which included Baz and Fred Pizzas and Beatboxers. Nobody looked more in love or happier than the bride and groom in their fabulous attire with all the romance captured beautifully by Andy Gaines Photography. Sophie’s fishtail Costarellos gown in particular is an absolute gem with its intricate detail and peachy tone. Plus how adorable do the bridesmaids look in their blush tulle skirts and white top separates. Clue: Very.